Shalizeh Arefpour’s sumptuous and sobering debut feature, Heiran, headed off the “20th Annual Celebration of Iranian Cinema” (February 5-20, 2010, screening eight narrative features and four documentaries) by the UCLA Film and Television Archive, which continually offers one of the oldest Iranian film festivals in the United States. Iran’s world-renowned filmmakers are lauded for the poetic beauty of their storytelling along with their astute social critique, and they continue to garner awards at the most prestigious of international competitions for their innovation as well. UCLA has not only showcased the artistic expression of these filmmakers, but has also brought the directors, producers, and actors to Los Angeles to discuss with audiences the process of their work. To this effect Americans have gained a cultural education of Iran and even its neighbors in the region from another point of view, since over the years a number of the films have addressed issues concerning Kurdish ethnicity, war with Iraq, and Afghani immigration. 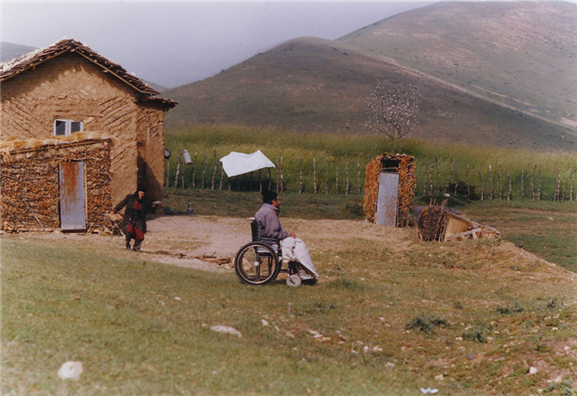 Three such films are discussed here, including Heiran and My Little Country and also Gilaneh. Shalizeh Arefpour accompanied the presentation of Heiran, which was followed by a Q & A with Archive programmer Shannon Kelley, and Rakhshan Bani-Etemad attended when her Gilaneh was shown at another event, “Up Close and Personal: Iranian Artists in their Own Words” (October 8-17, 2009, screening seven features and one short), hosted by the Archive at UCLA’s James Bridges Theater and by the Academy of Motion Picture Arts and Sciences at the Academy’s Linwood Dunn Theater in Hollywood. This delegation of eleven artists was the first from Iran to Los Angeles in an exchange program initiated by the Archive that began with Vietnamese filmmakers, and it was the first time that the reciprocated visits were also supported by the Academy. Alfre Woodard, one of the cinema artists on the American team who visited Teheran’s cinema studios on the Iranian end of the exchange, interviewed Bani-Etemad at the Los Angeles event. 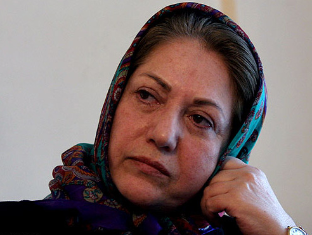 With a long career behind her in Iranian documentary and narrative filmmaking, the prolific Rakhshan Bani-Etemad (Off Limits, Nargess, The Blue-Veiled, Under the Skin of the City, Our Times, Mainline) also produced Sarefpour’s Heiran. In Heiran, Shalizeh Arefpour’s incredibly strong first feature, when the teenage Mahi falls head-over-heels for a boy she meets on the bus, she doesn’t appear to be making the usual mistakes. Heiran is not only nice-looking but respectful, diligent, and trustworthy — downright “noble” for all intents and purposes, but not from the perspective of Mahi’s father, who sizes up his social position and trajectory in a flash. As an Afghani refugee, he looks like nothing but trouble. In Iran on a student visa, he will not be allowed to work there, so how will he find a way to take care of Mahi? As in many immigrant epics, love looms larger than the law, and the couple finds a way to move, marry, and start a family, until…. Since the reign of the Taliban, more than three million Afghanis have fled to Iran as illegal immigrants, and the Iranian government still has not managed to integrate them into the society. Previously a documentary filmmaker, Arefpour here looks very realistically at the social issues her characters face all the while she sustains their utterly romantic and endlessly hopeful point of view. Meanwhile, autumn gathers itself in the hills of northern Iran, and the lush music gives way to a desolate borderland. In Rakhshan Bani-Etemad's Gilaneh, the depiction of everyday life in a region of war is so palpable, it would seem impossible to uphold acts of aggression under any circumstances. And we see a variety of them, ingeniously depicted in a cross-flow of opposing directions and conflicting motivations. In 1988, on the Iranian New Year’s Eve, the nation’s capital celebrates, only to be hit with catastrophic bombing from Iraq. Meanwhile Gilaneh, a peasant widow from the green countryside near the Caspian Sea, watches her handsome son, engaged to be married, walk out the door headed straight for battle. When her pregnant daughter is compelled to make the journey to Teheran to search for her husband, now a deserter from the army, she and Gilaneh find everyone fleeing for their lives. That was Iraq’s war on Iran. Fifteen years later we see America’s war on Iraq. Gilaneh now carries her son on her back from his bed to the sunlight outside. He is a deranged invalid due to the assault of chemical weapons. His one-time fiancée finally visits with her children from another marriage. The doctor can rarely come, and there is little to eat, nor is there the strength for growing crops, but the prematurely aged Gilaneh carries on, hoping for a war widow who might join her son in their desolate home. A small TV shows the U.S. pelting Baghdad — and also anti-war demonstrations around the world. Why is it that neither is a comfort? It’s quite moving the way the grandfather passes the days confiding to his deceased wife yet at the same time faces the harsh reality by following Mahi to Teheran, ever so protectively. What is refreshing to see in the film is the attitude the family displays, even and especially the father, toward the growing opportunity for women in education and careers. Since there are thousands of women who face the predicament of husbands who are deported, one wonders if there is any kind of political movement or social movement of women who are trying to get their husbands back or help themselves so that they can get some of their financial needs met. 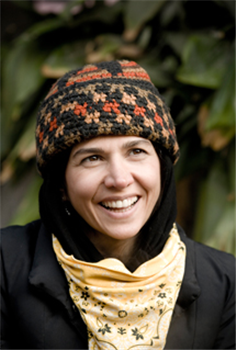 Shalizeh Arefpour had served as Assistant Director for four of Rakhshan Bani-Etemad’s film projects. During the last of these, she presented a script she had written to her mentor, Bani-Etemad, who liked it well enough to offer, for the first time ever, to produce it. 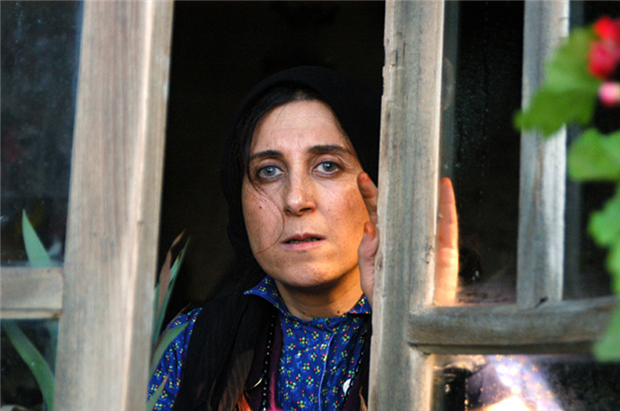 As Arefpour directed that film, Bani-Etemad helped her, working quite collaboratively. It is one of the regulations of the Ministry of Guidance that first-time filmmakers work with a more established filmmaker as an advisor. At the Linwood Dunn Theater with the presentation of her own film, Gilaneh, Bani-Etemad told Alfre Woodard about the genesis of her story. Director: Shalizeh Arefpour; Producers: Rakhshan Bani-Etemad, Jahangir Kosari; Screenplay: Shalizeh Arefpour, Naghmeh Samini; Cinematographer: Hossein Jafarian; Editor: Sepideh Abdolvahab; Production/Costume Designer: Amir Esbati; Music: Alireza Kohan Deyri; Sound: Sasan Nakhaei. Cast: Baran Kosari, Mehrdad Sedighian, Khosro Shakibaei, Farhad Aslani, Zhahleh Sameti, Fouzhan Arefpour, Mohsen Mokari. Color, 35mm, 88 minutes. In Farsi with English subtitles. Director: Rakhshan Bani-Etemad, Mohsen Abdolvahab; Producers: Saeed Sa’di, Jahangir Kosari; Screenplay: Rakhshan Bani-Etemad, Mohsen Abdolvahab, Farid Mostafavi; Cinematographer: Morteza Poursamadi; Editor: Davoud Yusefian; Production/Costume Designer: Zhila Mehrjui; Music: Mohammad Reza Aligholi; Sound: Mohammad Reza Delpak, Amir-Hossein Ghasemi, Yadollah Najafi. Cast: Fatemeh Motamed-Arya, Bahram Radan, Baran Kosari, Jaleh Sameti, Shahrokh Foroutanian, Madjid Bahrami. Color, 35mm, 84 minutes. In Farsi with English subtitles.